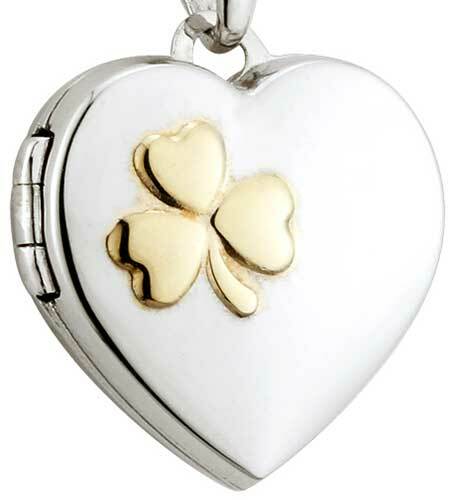 This sterling silver shamrock locket has been hall marked by the Irish Assay Office at Dublin Castle. 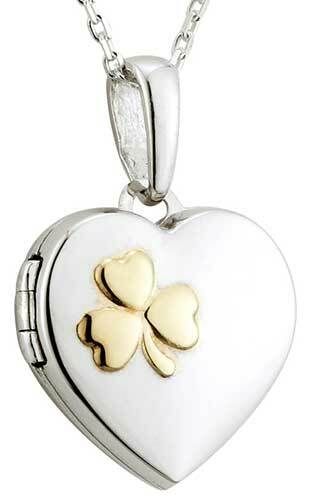 This sterling silver heart shape locket features a superimposed gold plated shamrock. The hinged shamrock locket will accommodate two pictures and measures 5/8" wide x 7/8" tall, including the jump ring and the chain bail. The shamrock necklace includes an 18” long sterling silver chain.